Since rumors of a new bourbon Ben & Jerry’s flavor started swirling earlier this month, ice cream fanatics have been left wondering when and if such a glorious concoction might be made available. 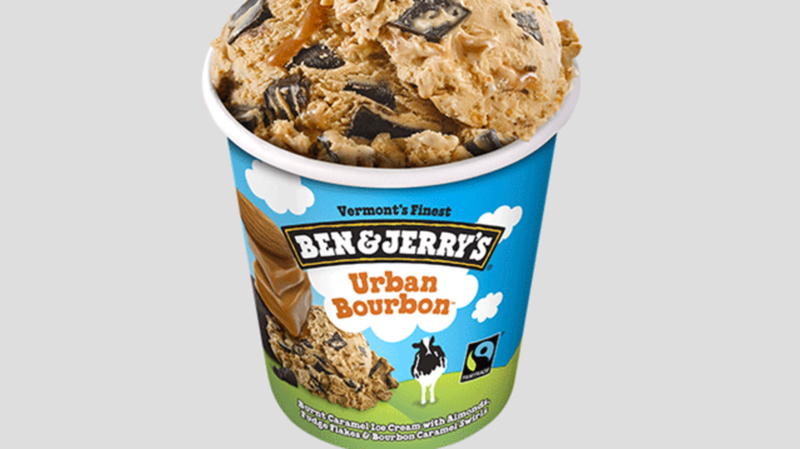 Well, they don’t have to wonder any longer: As TIME reports, Ben & Jerry’s has officially confirmed Urban Bourbon as part of their lineup with a release date set for mid-February. The product is packed with decadent components like burnt caramel ice cream, almonds, and fudge flakes. But it’s the bourbon caramel swirls that have fans of fine liquor buzzing. Though this isn’t the first time Ben & Jerry’s has experimented with putting booze—or even bourbon—in its ice cream, the mix of so many crowd-pleasing ingredients in one carton sets it up to become an instant classic. Ben & Jerry’s also announced two more additions to their family of ice cream: Oat of This Swirled, an oatmeal cookie flavor, and Truffle Kerfuffle, a vanilla ice cream with salted chocolate ganache and nuts. The two varieties will debut alongside Urban Bourbon next month.